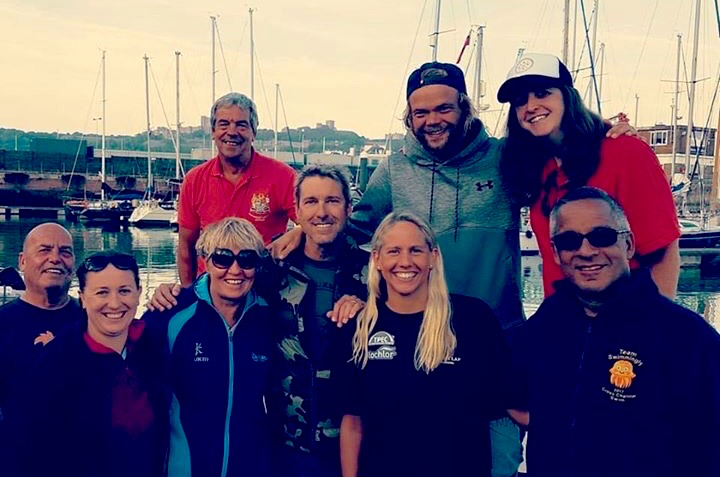 In August 2017, Mark Critchlow completed his charity swim across the English Channel as part of a four-person international team – Team Swimmingly. 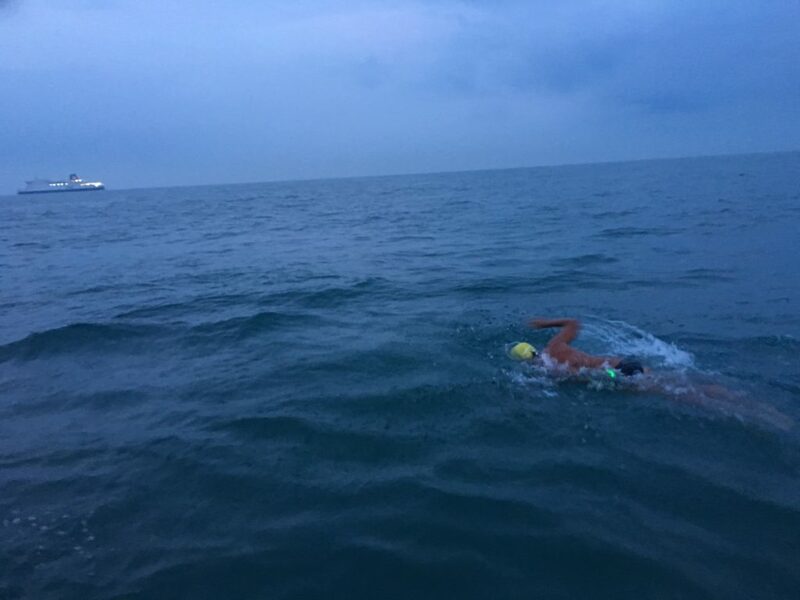 The swimmers – Mark, Etienne from France, Brian from the USA and Kate from Australia – swam in relay, for an hour at a time. Mark was swimming to raise money for The Amber Trust, our newest charity, which helps blind and partially-sighted children make the most of their musical talents. Thanks to those who have donated. Fundraising is now closed but you can see the donations and messages on his UK VirginMoneyGiving page, which shows that he raised £9,387.50. Below we record some of the key moments, together with videos and media coverage – please scroll down to see them all. 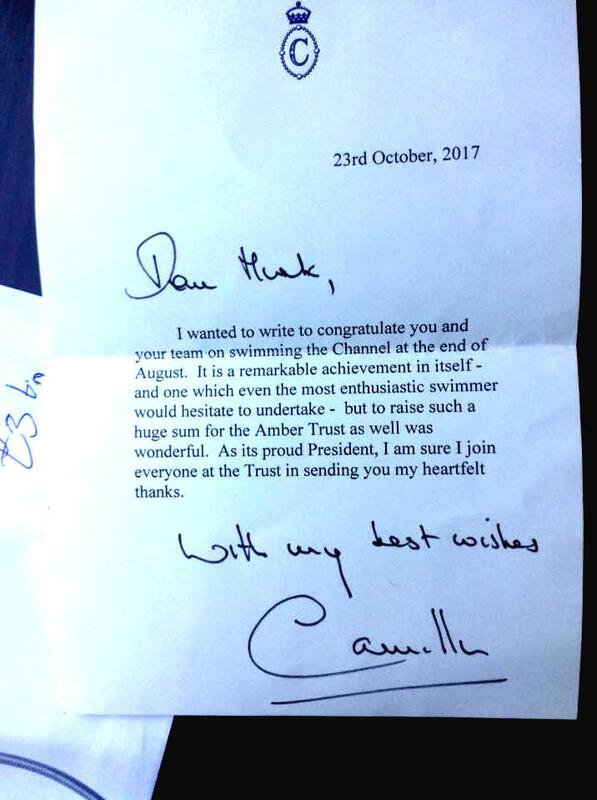 October 24th – Mark receives a letter of thanks and congratulations from Camilla, Duchess of Cornwall, president of The Amber Trust. 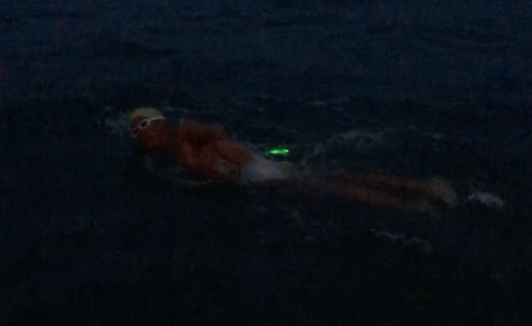 Tuesday August 29th – Mark sends us a short video of his most dangerous time, swimming in the dark. Total donations at this stage, including Gift Aid, have reached:£7,448.75. 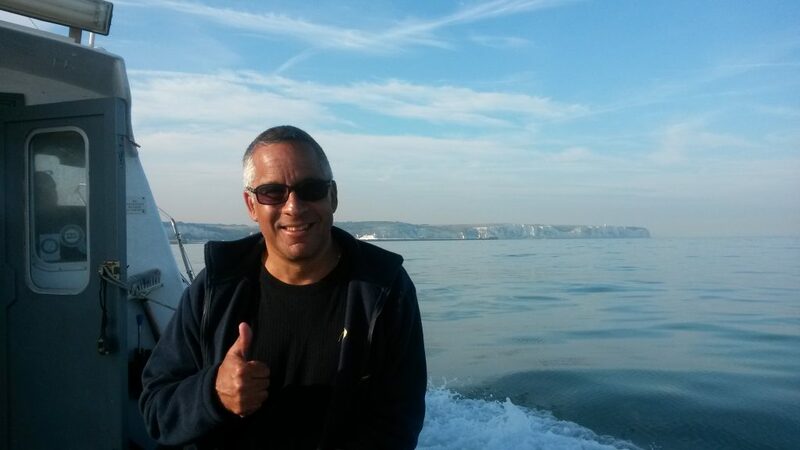 Sunday August 27th – 10.15am – Fr Edward Barlow tells the congregation at St Michael & All Angels that Mark has competed his swim. 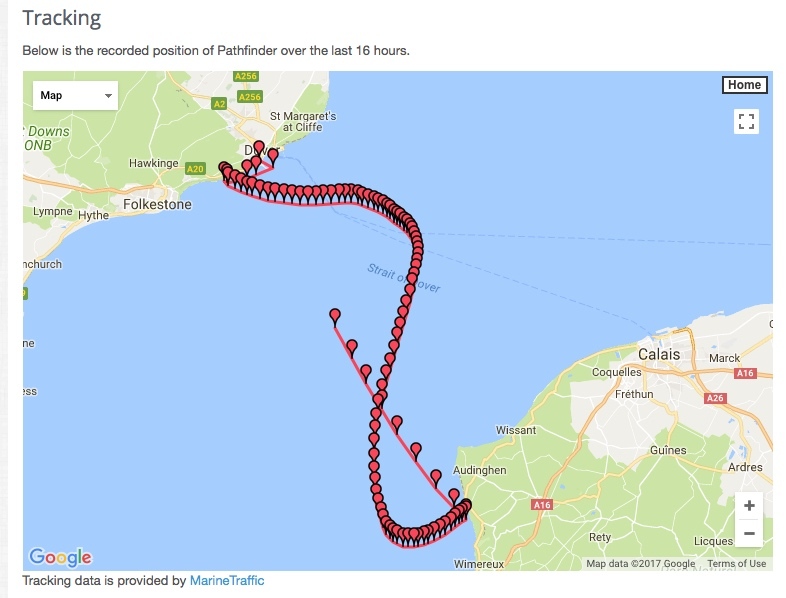 We followed Mark’s progress at the Channel Swimming Association tracking site. The boat supporting him was ‘Pathfinder’. If you clicked on ‘View track’ on that site, you could see the course that the team have swum (see image below at 17:15 Saturday). You can also follow the CSA on Facebook and Twitter. Friday August 25th 2017 – Lunchtime – Mark travels to Dover, having arrived from holiday in Sardinia (via Milan) the night before. 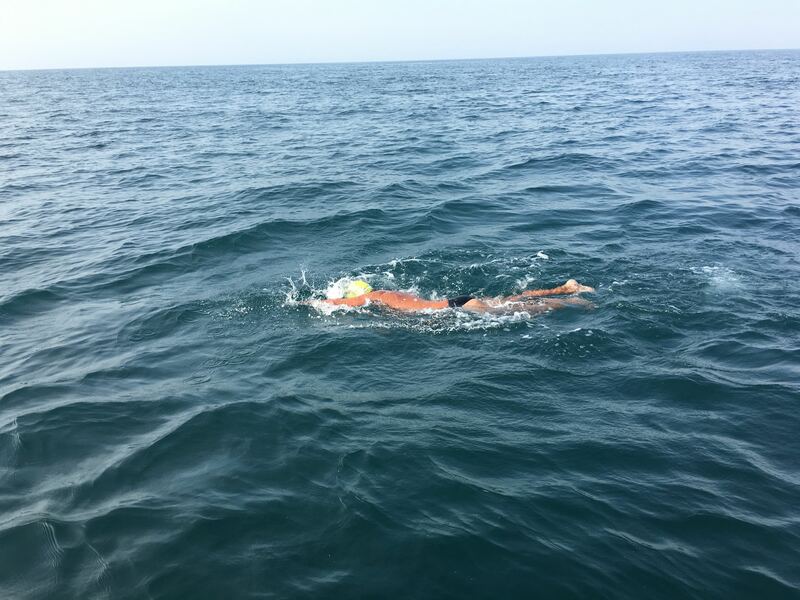 On the journey he is told that the swim has been moved forward from Sunday to the early hours of Saturday morning and that they will be now swimming in a powerful spring tide. Earlier, Mark had kept us informed about his training on his Facebook blog. 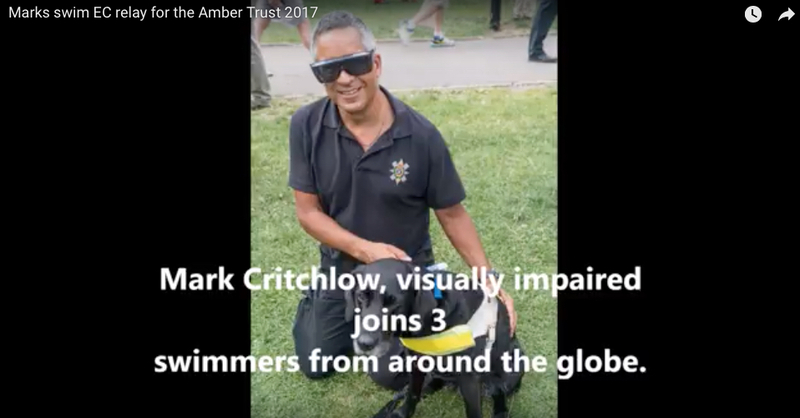 See Mark’s interview with Chiswickbuzz.net : Mark Critchlow is back at it once again swimming for charity! 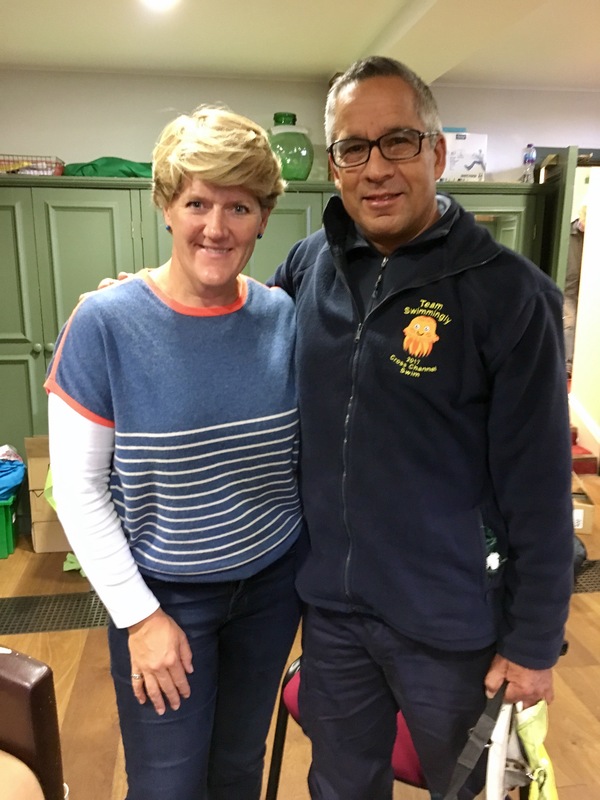 The visually impaired former athlete will soon swim the English channel for the Amber trust any date between 27th Aug and 7th Sept, subjected to weather conditions. 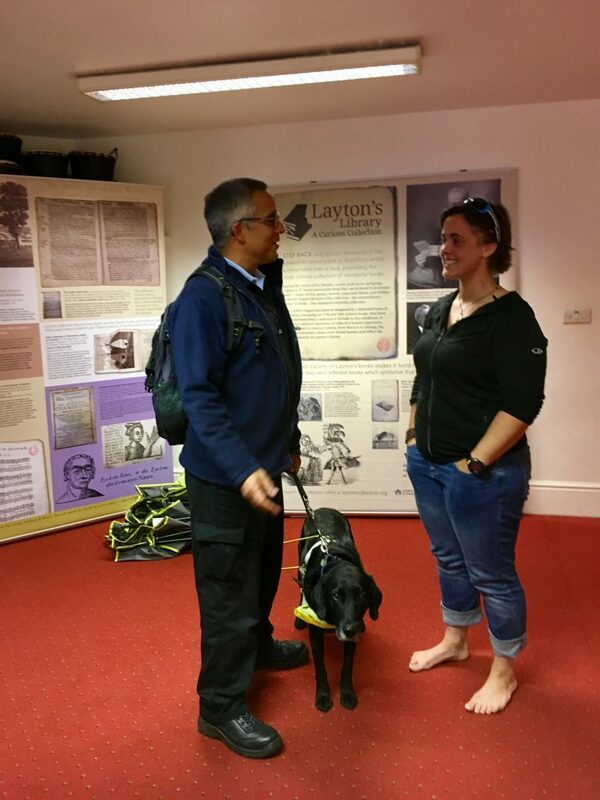 Go ahead and support Mark on his courageous journey for charity, donations can be made via the link below! 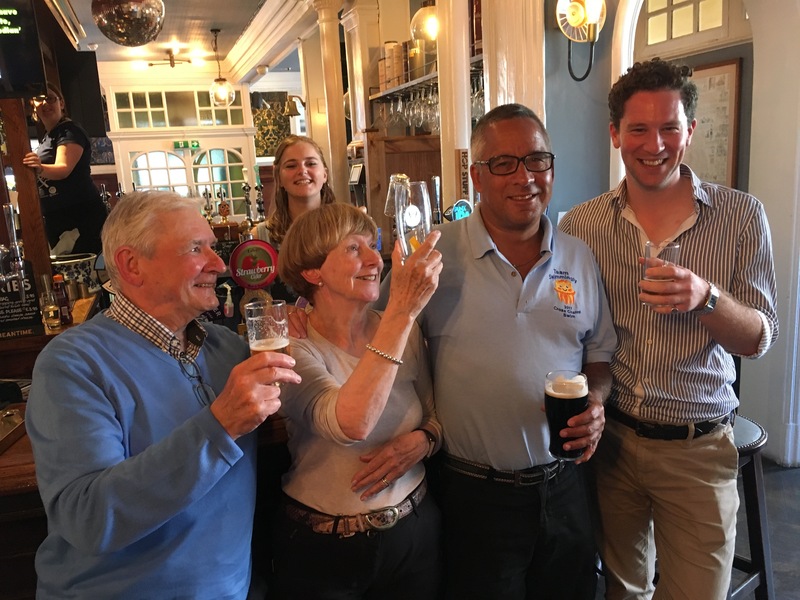 Mark’s swim was also featured recently on ChiswickW4.com: A local resident, who is visually impaired, is to take on a swimming challenge across the English Channel, from Dover to Cap Gris Nez, to raise money for a charity supported by St Michael & All Angels in Chiswick.